With a Fine homemade Mediterranean cuisine. Following the principles of Greek Cuisine in our Palmera Seaside Hersonissos Restaurant, we use pure ingredients domestically produced, Cretan olive oil and seafood is always freshly caught by local fishermen. 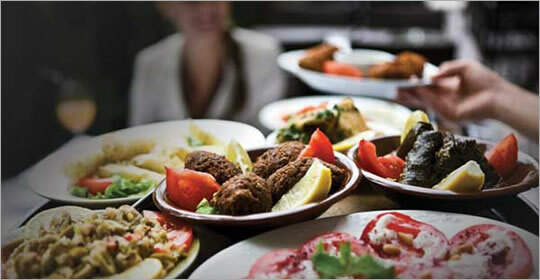 The Greek cuisine is the perfect example of traditional Mediterranean diet. It’s based around a variety of colorful and flavorful foods that are high in nutrients and low in animal fats. The most characteristic and integral element of Greek cuisine is olive oil, which is frequently used in most dishes. Produced from olives it gives a characteristic taste of Greek food. The warm climate of Greece makes it ideal for growing vegetables and fruits, and these are eaten in abundant amounts. A myriad of colorful and flavorful vegetables form a fundamental part of Greek cuisine. Important vegetables are tomatoes, eggplants, potatoes, beans, okra, peppers and onions. Greek cuisine uses some flavors more often than other Mediterranean cuisines, like: oregano, mint, garlic, onion, dill and bay leaves. Other common herbs and spices are: basil, thyme and fennel. In many Greek recipes there are used sweet-used spices in combination with meat, such as cinnamon and cloves. The climate and soil of Greece tends to favor the breeding of goats and sheep more than cattle and therefore dishes with local beef is rarer. Fish and seafood are more common naturally in coastal areas and islands. Olive oil was very important in Greece. 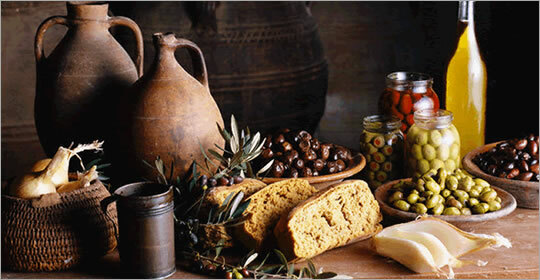 During the Minoan Era, olive oil was exported from Crete to the Greek islands as well as to the mainland. Olive oil was used in ceremonies, medicine, sports as well as in the every day life. This “liquid gold” (as Homer used to call it), serves still as an essential dietary nutrient, ensuring longevity as well as health and well-being. Olive oil is rich in vitamins A, D, K and E, as well as in polyphenols, ingredients that protect from certain types of diseases. Its antioxidant action slows down aging and increases euphoria, helping skin health and body functionalities. Hippocrates used to call olive oil the “Great Healer”, which is not strange, as till nowadays it is considered a blessed fruit of the past symbolizing knowledge, peace, health, vitality, strength. Back in the time, ancient Greeks used to salve oil over their bodies in order to get more strength and good luck. In Palmera Seaside we use selected olive oil from Cretan Producers, creating for you dishes of “liquid gold”. 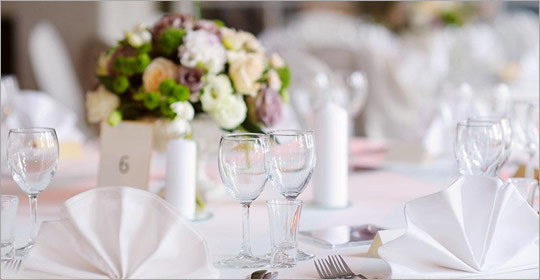 We would be very glad to organize for you any type of social events like weddings, birthdays, anniversaries or business meals. We can arrange a meeting and plan for you and with you the ideal event. The restaurant area can be transformed accordingly, and accommodate up to 200 people. We will be pleased to create moments of fantastic memories for you and your guests, at an ideal environment, with a tailor made menu and accompanied by a spectacular sea view. With its irresistible combination of style, location, cuisine and exemplary service, the Palmera Seaside Restaurant is the perfect choice of venue if you are looking to create an unforgettable event. Flexible, accommodating and professional. 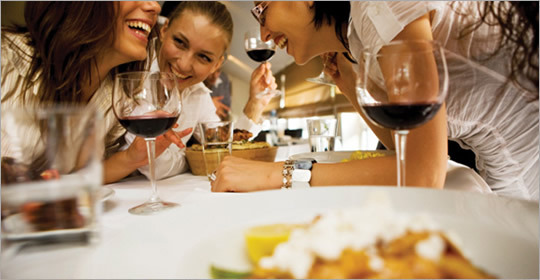 You can exclusively hire the entire restaurant for up to 200 seated guests. For more information or to discuss your exact booking requirements please contact us at tel. number 2897 022481 . If you would like to contact us or learn more about Palmera Seaside Restaurant, please e-mail your comments using the form below.